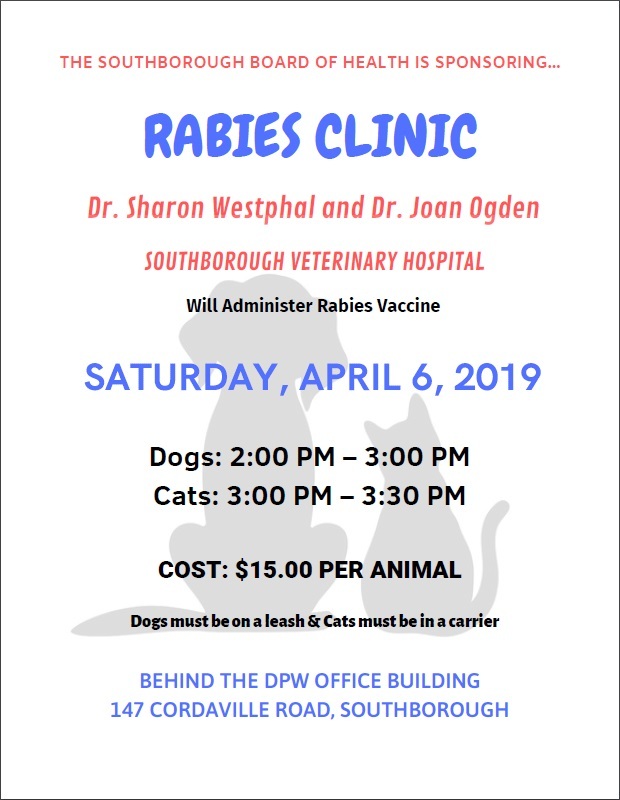 The Southborough Board of Health is sponsoring its annual rabies clinic for cats and dogs on Saturday, April 6th. The clinic will be held behind the DPW building at the Transfer Station. Dogs will be vaccinated from 2:00 to 3:00 pm, and cats from 3:00 to 3:30 pm. Please bring cats in a carrier, and dogs must be kept on a leash. The cost is $15 per animal. 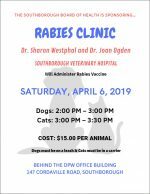 Rabies vaccinations will again be administered by Dr. Sharon Westphal and Dr. Joan Ogden from Southborough Veterinary Hospital.